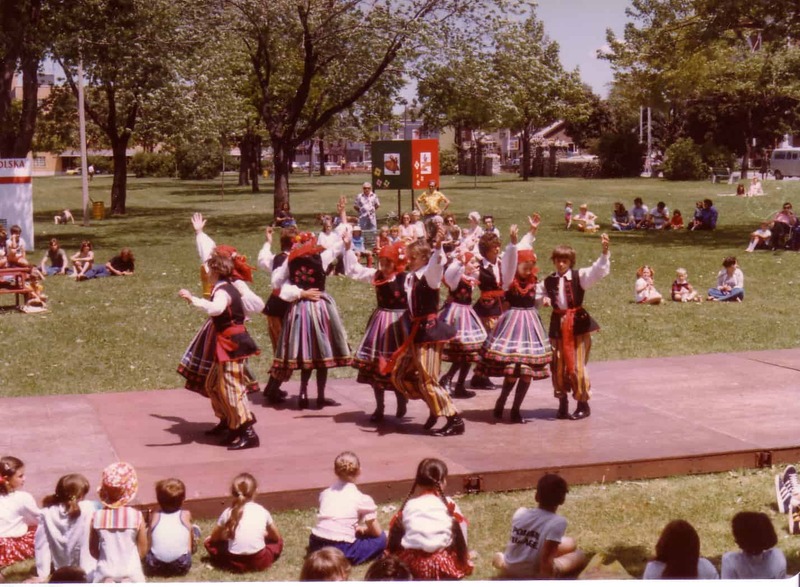 Carrousel of the Nations originated in June 1974, when the Arts Committee of Windsor, with the help of a $3,500 grant from the Ministry of Culture and Recreation, presented Windsor’s inaugural Multicultural Festival. Held at St. Clair College’s Patterson Campus, the first Multicultural Festival was comprised of three days of folk arts, crafts and foods and saw the participation of 27 groups. The weekend’s finale featured a concert at the former Cleary Auditorium with eighteen groups performing to an audience of over 800. The festival was regarded as a tremendous success and inspired what we today know as the Carrousel of the Nations. The following year, with co-operation from the Freedom Festival, a downtown bazaar was held in the Cleary Auditorium parking lot featuring fourteen ethnic food booths together with a large exhibit of cultural artifacts. In 1976, the Ontario Government announced a cultural grants program inviting groups to submit their proposals for the Cultural Olympics. Formal planning began in February 1976, and the weekend of June 11th was confirmed along with the concept of separate ethno-cultural villages. There are numerous events leading up to the annual Carrousel which takes place during the last three weekends in June each year. In 1999, an Expo to the World was held at Windsor’s Festival Plaza with the Detroit River and its magnificent skyline as the backdrop. This event gathered together ethno-food, music, dance, arts and crafts in one place giving birth to Expo by the River a preview and prelude to the annual Carrousel of the Nations. Since then, the Multicultural Council of Windsor and Essex County changed the name of Expo to Carousel by the River to merge the two events as one. Carrousel of the Nations won the inaugural Attractions Ontario Ontario's Choice Award for best festival as chosen by attendees in 2016.